Welcome to the webpage of the RISC-TEAM, the IAFMHS special interest group on clinical risk assessment and management. RISC-Team is a special interest group of the International Association of Forensic Mental Health Services. Membership is open to active members of the Association. Meetings of the RISC-Team are held each year in conjunction with the annual IAFMHS conference. The first meeting of the RISC-Team took place in May 2001 in Vancouver. 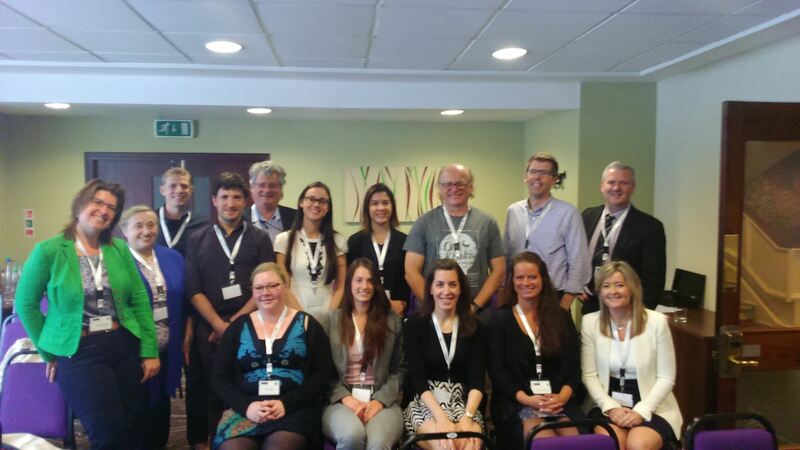 Our most recent meeting was in June in Manchester, coinciding with the 15th annual conference. Below you will see a photograph of the RISC-Team taken at this meeting. We will meet again in June 2016 in New York City. RISC-Team newsletters, materials and contacts can be accessed below, both through the old newsletters for our group and also on the more recent note of members interests, for which you’ll see a link beneath the photograph. We wish this special interest group to help interested professionals from any discipline or institution or country to find sources of information about clinical risk assessment and its practical and strategic management. · To provide an international forum for professionals interested in issues related to clinical risk assessment and management, specifically in respect of clinical practice, research and policy/administration. The essence of the group is to offer colleagues an opportunity to exchange opinion on legal, methodological, and clinical matters and to offer advice or support from the perspective of similar organizations. · To create opportunities for collaboration across institutions and jurisdictions in the conduct of research and training. · To discuss standards for clinical and research practice. · To ensure the knowledge is kept up-to-date, organized, and available to members and, perhaps in due course, to non-members. · To ensure that information about risk assessment and management is conveyed accurately and responsibly via training workshops and the like.